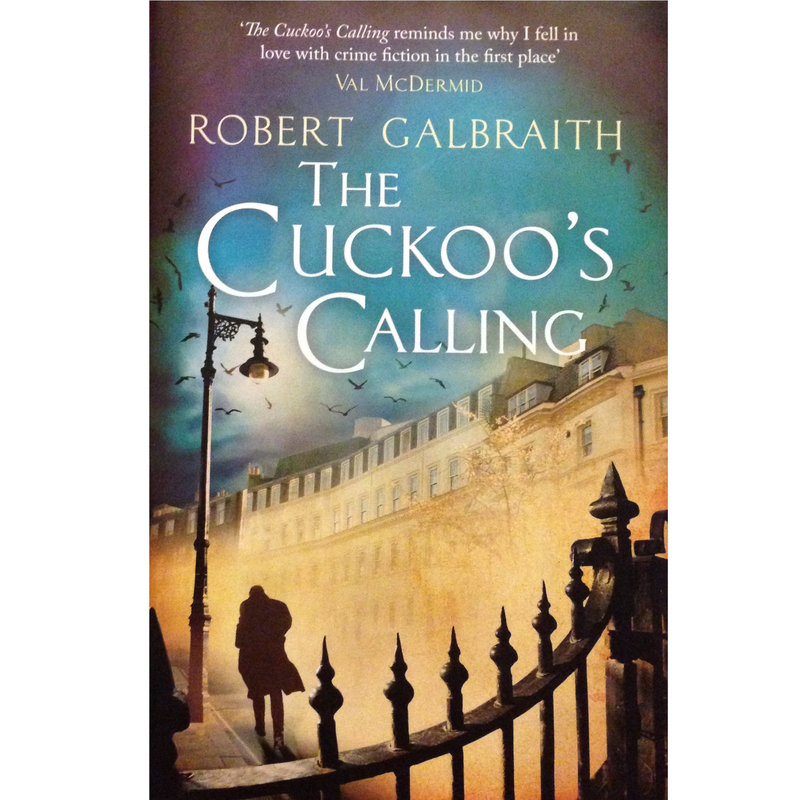 After finding out that The Cuckoo’s Calling was written by J K Rowling (and not enjoying A Casual Vacancy as much as I had hoped I would), I was definitely intrigued by this book. After reading the blurb, and having gone through a bit of a crime/mystery phase, I had high hopes for the book, and wanted more than anything to enjoy Rowling’s new writing venture. [The Plot]: After losing his leg at war in Afghanistan, Cormoran Strike is barely scraping by as a private investigator. With his personal life in shatters, and financial issues galore, Strike has hit rock bottom. That is until Lula Landry, the most famous supermodel of the moment, commits suicide and her devastated brother comes to Strike in a moment of need and desperation. John Bristow thinks his sister was murdered and after the police have shrugged it off as suicide, it’s up to Strike to find out what really happened. I’ve been going through a bit of a crime novel phase for a while now and had really high hopes for this book from the get go. The storyline appealed to me after just reading the blurb and I couldn’t wait to get stuck in. While I’m not the first to say that there is nothing crazy new about this plot to other crime or mystery books, it did it’s job as far as I’m concerned. Throughout the entire book I was intrigued by both Strikes personal troubles and the Lula Landry suicide. I constantly found myself questioning the different characters in the book, are they telling the truth? Are they covering for someone? Are they the killer? Was Lula Landry really suicidal? At no point did I predict the outcome of the story and without giving away any spoilers to anyone who hasn’t read the book, It comes completely out of the blue. The relationships within the book, really enable the reader to relate to Strike on a whole new level. Cormoran’s assistant, Robyn, is just a temporary secretary at first, but proves herself to be more than useful with the case. With Robyn’s point of view, we see Strike in a completely different light. We see the more vulnerable side to him, especially when she know’s that he is hiding a lot of his personal life from her for fear of being judged or mocked. Robyn doesn’t dwell too much on Strikes personal affairs or his living situation, but does her best to help him with the case and even goes to lengths to ensure his clients don’t find out he is living in his office. The longer Robyn works for Strike, the more he wants her to stay and the more she wants to continue working with him, but much like two school children who have their first crush, neither will offer up their vulnerability until the last second. They have developed the type of working relationship that a lot of people can either relate to or aspire to, and their need for each other in their work is evident more and more throughout the story. This book kept me wanting more and I was in that terrible situation of wanting to read on but also never wanting the book to end. Rowling has definitely redeemed herself with this book in my eyes. As a huge Harry Potter fan, and being somewhat let down by A Casual Vacancy, I was thrilled to enjoy this book as much as I did. I can’t wait to read the sequel, The Silkworm.